It’s been almost half a year since her coronation as “The Final 1” on Mediacorp Channel 5‘s reality singing competition held last year. 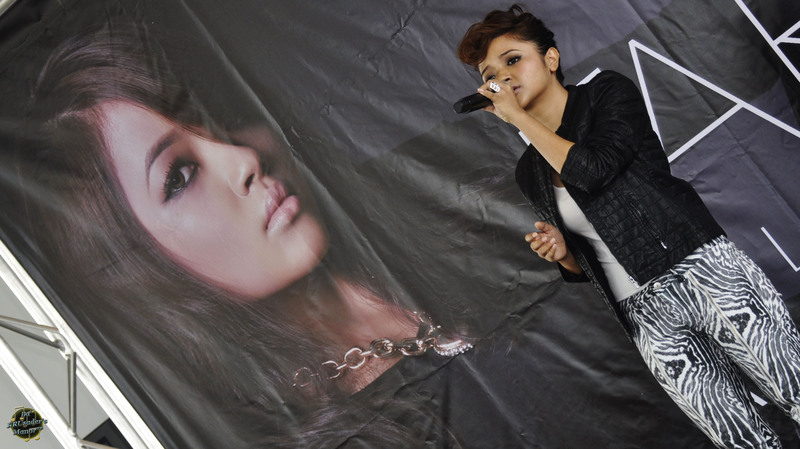 Over the past five months or so since her win, she has been working hard behind the scenes, recording her debut album which finally made its way in local music stores (CD RAMA) on 28 January 2014. However the media conference held in conjunction with the album launch was held slightly later, about a week after the CDs have been made available, on 6 February 2014. The event was held at The Star Loft, situated on the eleventh floor of The Star Performing Arts Centre in Buona Vista. In a way, it was a full circle for Farisha as she was conferred the title of “The Final 1” at the same building on 21 August 2013. Those who had followed “The Final 1” competition since the start would note that Farisha was a model of consistency week in and out. I remember being very impressed by her showing since the very first episode. Besides Farisha, I had other favourites as well but when one by one got eliminated in the competition in the early stages, I felt that the competition was hers to be won at a canter, no disrespect to the other participants. And she did!!! I was mesmerised by her rendition of “Tonight” during the Grand Finals cos I never thought she could pull off a song with an upbeat tempo as well as when she sings ballads and slow numbers. She was a worthy winner that night and the final result was never in doubt. Back to her album launch. Titled “Aligned“, the album consists of nine original compositions, six in English and the remaining three in Malay. Of note, three of the songs found in her album, “Life Is Beautiful“, “Hidup Ini Indah” and “Stranded“, were penned by this talented 19-year old. During the media conference event, I was intrigued by how calm, confident and eloquent Farisha was when posed with questions from host Elliot Danker. Some new artistes need a bit of coaxing to describe themselves or even their songs / albums, but Farisha displayed the kind of confidence seen in seasoned professionals. Of course I will not describe in detail what went on during the event as you can view highlights of them in the short clip I have managed to put up and included at the end of this entry. All I can say after observing Farisha, how she tackles the media and most importantly, how she enjoys herself onstage is that generally, I am excited to see how far she can progress in this small music industry of ours and whether she can push on and make waves abroad. With her willingness and determination to improve on her shortcomings, her confidence in being bilingual (even though she admits she could improve on her mother tongue), I feel that over time, the regional audience would warm up to her and she could be our best female export. Though her looks remind me of Malaysia‘s Nurul Wahab, her talent if nurtured well and she reaches diva status, a comparison with Dato’ Sheila Majid cannot be too far away. 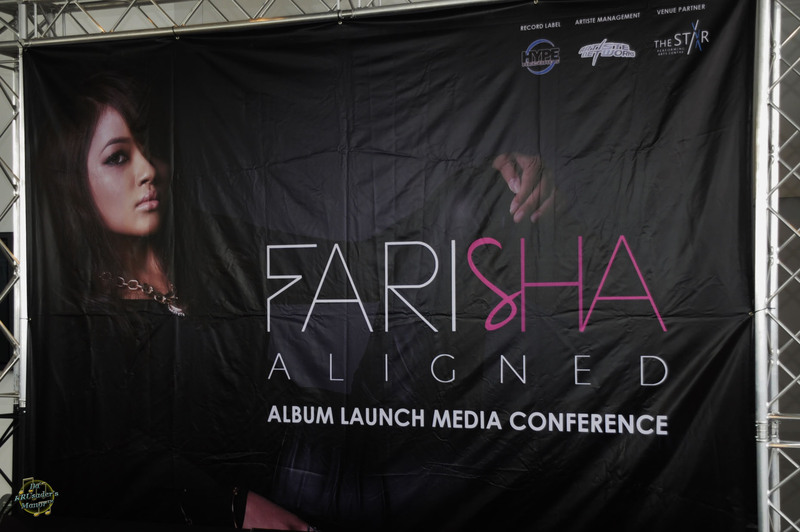 Get Farisha‘s “Aligned” album at all CD RAMA outlets now!! !